If you sit down to think, you will discover that friends are the reason for a bigger share of the joy that we get out of life. Friendship Day is that time that joyous occasion that adds to our happiness by providing us with the opportunity to have fun with our friends. And some cool jokes are just what you need to add to your Friendship Day fun. 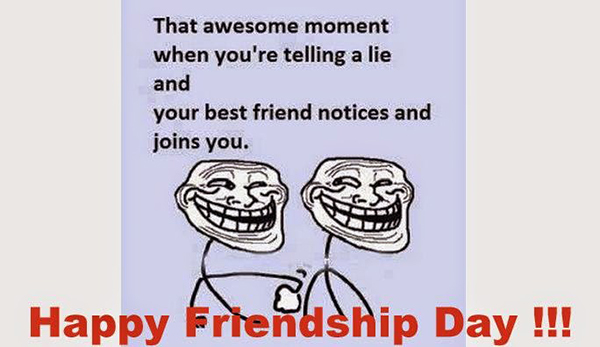 Check out our fabulous collection of hilarious jokes on Friendship Day. 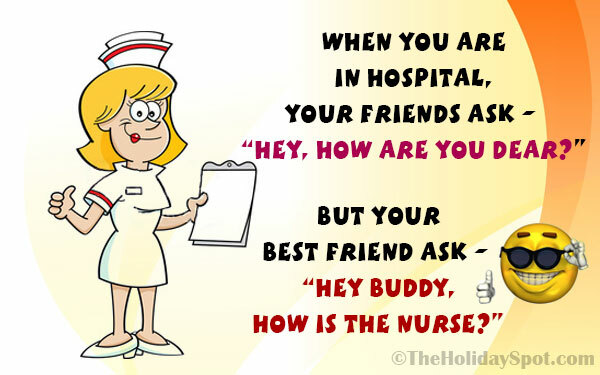 Enjoy these Friendship Day jokes yourself, and also forward them to all your friends, so that they too can smile with you on this Friendship Day! 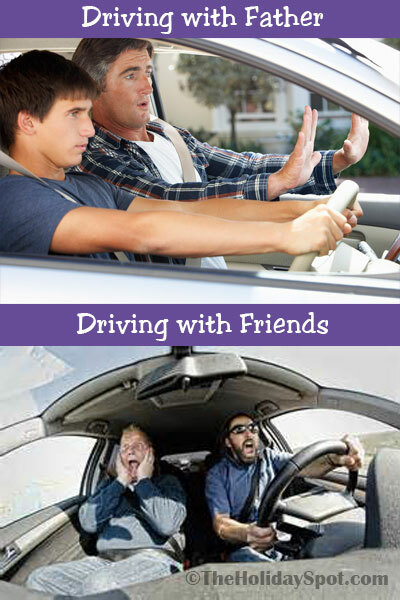 Enhance your Friendship Day merriment with cool jokes related to the occasion. Happy Friendship Day! Three friends, stranded on a desert island, find a magic lantern containing a genie, who grants them each one wish. The first friend wishes he was off the island and back home. The third friend says "I'm lonely. I wish my friends were back here." Jack and John met by chance on the street. After chatting for some time, Jack said to the John, "I'm extremely sorry, but I've forgotten your name. You'll need to tell me." The John stared at Jack thoughtfully for a long time, then replied, "How soon do you need to know?" Peter: "Hi John, what are you doing?" John: "Not much, writing a Valentine's Day greeting card." Peter:"Why are you writing it with your left hand? Are you left-handed?" John: "No, I just can't let my right hand to see it. It's a surprise for it." 1st: "Hey can I borrow some money? I'm broke." 2nd: "Get money from your job." 1st: "My boss told me to leave all my problems behind the door, so I told him to stand outside." I visited my new friend in his flat. He told me to make myself at home. So I threw him out. John: Bro, send me some good jokes. Peter: Sorry, now I'm busy with my Girlfriend. John: Good One! Send me more. I'm going to change my Facebook name to Benefits. Now, when someone adds me on Facebook, it will say: you are now friends with Benefits. Jack's father died last night so John asked him "What was the cause of his father's death?" Jack: "A bus passed over his finger!" John laughed and told him: "It is not a suitable cause." Jack: "When the bus crashed, his finger was on his nose!" "What shall we play today?" said Florence to her best friend Jenny. "Let's play schools," said Jenny. "OK!" said Florence. "But I'm going to be absent." Pritam is driving down the Delhi-Amritsar highway, when he spots his friend Shankar standing in the middle of a huge field of grass. He pulls the car over to the side of the road and notices that Shankar is just standing there, doing nothing, looking at nothing. Pritam gets out of the car, walks all the way out to Shankar and asks him, "Excuse me, what are you doing?" Shankar replies, "I'm trying to win a Nobel Prize." "Well I heard they give the Noble Prize to people who are out standing in their field." Two adventurers John and Jack were hunting for gold in the desert. After roaming all day long under the hot sun, they set up their tent and fell asleep. Some hours later, John woke up his friend. "Jack, look up at the sky and tell me what you see." Jack looked up and replied, "I can see millions of stars." "What does that tell you?" asked John. Jack thought for a minute and said. "Astronomically speaking, it tells me that there are millions of galaxies and potentially billions of planets. Astrologically, it tells me that Saturn is in Leo. Time wise, it appears to be approximately a quarter past three. Theologically, it's evident the Lord is all powerful and we are small and insignificant. Meteorologically, it seems we will have a beautiful day tomorrow. What does it tell you?" After a moment of silence, John spoke. "It tells two things to me. First is that...you are an idiot." Jack looked at John, surprised. "Why do you say so?" he said. "Because it has still not occurred to you that someone has stolen our tent." replied John. Tom and Timothy were in the same regiment in the army. They were inseparable friends and spent their evenings drinking together. After retirement, they went to different states and settled. However, they kept correspondence through letters and e-mails. To keep the memory of their boozing bouts alive, Tom always filled two glasses with rum and water and sipped from each alternately! "No problem," says the other guy, "you see, this ball is fluorescent. I'll be able to see it in the dark."